Heavy Duty Towing – Ottawa Tow Truck Experts at Your Service! Unfortunately, there are a lot of people who experience vehicle breakdown on the roads of Ottawa. Rather than fixing the problem with your bare hands, calling a reliable towing company is necessary. Super Towing is the leading roadside assistance and towing company across Ottawa offering premier, professional services to the local community. With 24/7 availability, there is no need to worry on where to seek a heavy duty towing company because our tow truck drivers are ready to serve around the clock. 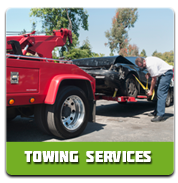 Super Towing Ottawa absolutely guarantees a 30 minute arrival time and 100% customer satisfaction. Remember, our professional towing experts and roadside assistance technicians will gladly lend a helping hand to resolve any automotive mishap, 24/7. We vouch for cost-effective, efficient and rapid service! Super Towing professional technicians are experts in fixing any vehicle related breakdown including towing services of any vehicle types or brands. Boasting many years of experience in the automotive business, our towing pros are fully bonded and insured. We believe in complete customer satisfaction and offer highly affordable rates. Whether you call us by night or by day, we keep our phone lines open in order to ensure immediate response to all the incoming calls. 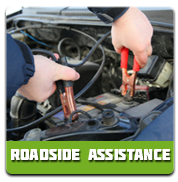 We never delay any roadside assistance and towing needs because we know that time is a precious commodity. 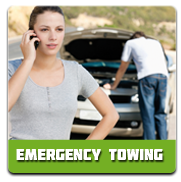 As soon as you call us for help and you confirm the job order, a tow truck is dispatched to your location. You need not worry on the prices of our services. We offer a very reasonable rate for our first class services. Ottawa Towing transparent pricing policy fully ensures no hidden fees. Our 30 minute arrival time to any location across Ottawa and highly competitive prices makes us your best choice!